What is this human emotion you call, love? 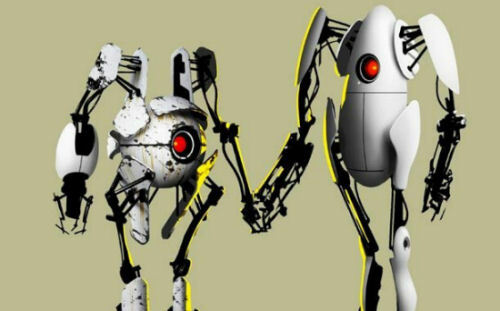 The Rise of the Robots may not have been the greatest PC game of all time, but at least it gave us a hint into a possible future, as does Valve's new trailer for their hotly anticipated Portal 2. Co-Optimus already found a teaser trailer during the recent PAX event, but a longer Co-Op trailer has just arrived - and it looks awesome. The usual dry sense of humor is on offer, but you also get plenty of hints as to how the mind bending puzzles will work. If you thought that working alone was a challenge, check out some of the crazy goings on in the trailer. It seems that Portal 2 may be a 3D Splosion Man; but with more robots and less meat filled scientists. Click Read More to witness the latest Portal 2 trailer and see why certain members of Co-Optimus are abuzz about a couple of chummy autobots.